Jindal Aluminium Sliding Door, Size: 36" X 84"
Size (inches): 36" x 84"
We are among the reputed organizations, highly engaged in providing an optimum quality range of Aluminum Sliding Door. 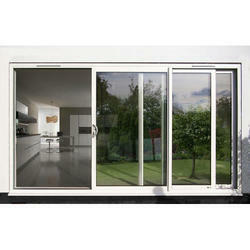 We are specialized in the traditional sliding windows & doors using market sections from extrudes. 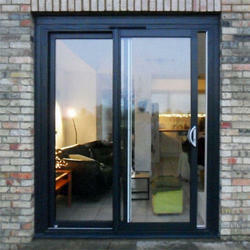 collapsible doors, structural work, double glazing works, all types of railings, spider fitting and patch fitting works. We also specialize in the traditional sliding windows & doors using market sections from extrudes like Jindal and Hindalco. We have been delivering the finest workmanship in each project executed.